If you are a Baby Boomer – a hippie, turned me generation, turned soccer mom, your generation ushered in free-love, drugs, the broken family, and Wall Street excess. You also integrated the workforce – giving women and minorities a step on the corporate ladder. If you are a Gen X – a latchkey kid, turned MTV fan, turned slacker, turned free agent, your generation gave the word “cynical” a whole new face, established the grunge culture, and wore the mullet. You also introduced work-life balance, turned our focus to business results rather than time and tenure, and renewed the country’s entrepreneurial spirit. Who you were isn’t who you turned out to be. In fact, you were never fully who others thought you were. So let’s give our successors a break. What do you say? Maybe they aren’t exactly like us – nor are they entirely who people say they are. Instead, let’s have a productive conversation about engaging them in the important work of our organizations. After all, that’s exactly what we all want. see real opportunity to grow and progress. So what if they need more feedback than their predecessors? That’s how people learn. The dearth of feedback from leaders is the main reason why employees and results stagnate. If prior generations sought and gave less of it, perhaps it was because they were less savvy learners and more fearful about looking stupid than their younger counterparts. So what if Millennials think it is crazy to be tied to a cubicle to get work done or to put in face time just to appear committed? It’s crazy! People are more productive when they have the freedom to complete work in a way that suits them. Besides, they have been working from “wherever” their whole lives. So what if Millennials want to see a future for themselves and refuse to put the company in the driver seat of their careers? They learned well from their parents who, through layoffs and pay freezes, discovered that you can’t tie your future to the company. Instead, you have to make it yourself. So, what is the Gen X or Boomer manager to do? In this light, the answer is apparent. Shine the light on what makes Millennials sparkle brilliantly. This generation will comprise 50% of the workforce in six short years (2020) and you will need to know how to work with them – as your employee, or as your boss. Invite them into conversations about business challenges, and give honest feedback on their ideas about those challenges. Build automated and personal feedback loops into work processes so they always know how well they are doing. Learn the language of mentoring. Restructure work processes to make them more team-oriented. Include experienced people on the team as role models for the less experienced folks. Call a meeting to talk with your team about a flexible work schedule. Explain that you want to give them all the flexibility they want, as long as all of your business needs continue to be met. Then, define your business needs as team, and ask them to come up with scheduling guidelines or a team schedule. Invite them to offer technology solutions for making the work environment more flexible and efficient. Any jeweler will tell you to shine the light on a gem’s best facets. The same is true for people. Shine the light on what makes them sparkle rather than what makes you sparkle. This entry was posted in Diversity at Work, Engagement & Motivation, Leadership, Teams and tagged Communication, Employee Engagement, Gen Y, Generation Gap, Generation Y, Me Generation, Millennials on July 11, 2014 by Michael Boyes. Last weekend I went to see Divergent, a movie based on a trilogy written by Veronica Roth. Most of us read the series and were eager to be disappointed because, well, the movie is never as good as the book. Our seats hadn’t yet warmed when the conversation began. Jennifer: Which faction would you be? Me: Who me, why I’d be Divergent of course. Gail: No, you can’t be Divergent. You have to belong to one of the factions. Me: Then I would be Candor. All: Ahhhh yeah, of course. What else?! I am candid person; I know that healthy and productive relationships depend upon it. And right now, I am feeling the love. A few days ago I reunited with a client over lunch. When the conversation turned to my ponderings about my brand, she gave me some welcome and flattering feedback. What stands out to me is how well you ‘speak truth to power.’ You have the ability to speak the truth in a way that people can hear it. Not everybody can do that, and I really admire you for that. It was music to my ears and warm fuzzies for my heart, but just how valuable is this kind of Candor? According to Ed Catmull, President of Pixar, it’s brought in about 10.3 billion in the box office from its fourteen films – from Toy Story to the current smash hit Frozen. In an interview with Fast Company, Catmull previews his book Creativity Inc. and attributes much of Pixar’s success to the candor practiced by their “Brain Trust” in quarterly meetings. A hallmark of a healthy creative culture is that its people feel free to share ideas, opinions, and criticisms. 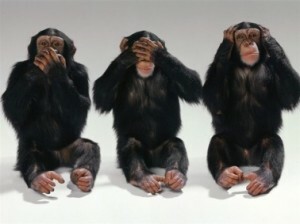 Our decision-making is better when we draw on the collective knowledge and unvarnished opinions of the group. 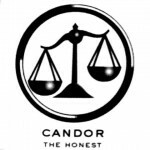 Candor is the key to collaborating effectively. Lack of candor leads to dysfunctional environments. Dysfunction has its costs: it cuts off communication, impairs decision-making, stifles creativity, kills productivity, and annoys customers. Let me say that again: it really annoys customers. That’s why I press my clients to say what needs to be said – in healthy, productive ways. So, I am proud to be from Candor. How about you? What is your faction and are you proud of it? I still truly believe I am Divergent. I wouldn’t be Candor if I didn’t tell you that. This entry was posted in Communication, Conflict, Leadership, Personal Effectiveness, Teams and tagged Communication, Conflict, Crucial Conversations, Diversity, Personality on April 8, 2014 by Michael Boyes. Do You Know What Obama Knows? Awhile back, my brother grumbled to me that his kids supported Obama. When pressed, they explained that they supported him because Obama stood for Change. “Change to what?” he asked, but they really didn’t seem to know. Still they supported Obama, which baffled my brother completely. In reality, it didn’t matter because the candidate’s message connected so well with people. But why? Look around. America is the land of the discontent. How many people do you know who are happy with their jobs, their businesses, their employers, or their lives? Our constant state of discontent drives progress as well as cynicism. Wise leaders know that it is their role to fuel and channel others’ desire to make things better – whatever those “things” may be. Napoleon Bonaparte once said that leaders are dealers in hope. President Obama knows the power of hope, so he didn’t need to say much more. His bumper stickers just said Hope. Like a psychoanalyst, he let the people project into his message what they desired. In fact, the concept of hope was so attached to Barak Obama that some observed that he seemed to be developing a savior image that rightfully belongs only to Jesus Christ. Well this certainly backfired on the President’s opponents. What they intended as a slur, Barak Obama adopted as a banner slogan. His message – I care about you. It doesn’t matter whether you believe he cares , the lesson here is quite clear. People place their trust and power in the hands of people who they believe care about them. After all, who, in their right mind, is going to give away their power to someone who doesn’t care about them?! I often encounter managers who try to maintain a distance from team members in order to stay “objective.” It’s funny how they tend to be the same people who struggle with engaging their team members and getting them to go the extra mile. Get over it!, I say! You’re not objective anyway – and you don’t want to be. This idea of sterile professionalism is hooey! Leaders and followers must bond, and bonding does not occur in a sterile “professional environment.” Instead, it happens in a messy relational one. You don’t have to be Barak Obama, or even agree with him, to tap the power of Change, Hope and Care. Know what you are about – your talents and passions – so you are ready to fill your role in making change happen. What would make your job better? Any change you pursue must be something the team “believes in” – and people mostly believe in their own values and goals. Truly see your people, by this I mean know who they are and what they are capable of becoming. Then, affirm them personally and feed their talents. Identify your organization’s improvement goals. Forge, communicate, and execute a plan for grafting team members’ personal desires with organizational goals. Until recently, I thought the only educational opportunity available on the highway came from audio books. Now, I realize that I can learn a lot about by “listening” to the messages that are screaming at me from the bumpers. Keep your eyes open and let me know what you are learning on the roads! This entry was posted in Communication, Leadership and tagged Change, Communicating Change, Communication, Hope on May 31, 2013 by Michael Boyes. The giant man rose to his feet displaying his 6’8”, 400-pound frame, reached for his coat as if ready to walk out, and asked me “Do you want to know what I think of that?” We had already danced around the room quite a bit, so I bit. “Yeah,” I said. “That’s good, that’s real good. You’re good,” he replied, and then he sat back down and settled in for the rest of the class. It wasn’t exactly music to my ears, but it was close. “Yes, I do expect you to change.” I exclaimed, looking right into his eyes. Then I looked around the room to the other participants. “Yes! Yes, I expect all of you to change. That is why I am here. I am a trainer. I wouldn’t be here if I didn’t expect you to change. I am offering you better ways of working and relating with people in your life. You don’t have to adopt them: that is your choice. But if you want better outcomes, then I suggest you consider trying them.” And when I said that, the dance was over. My bear, and the other participants, sat back and listened more intently and ready to learn. The dance was over and our work had finally begun in earnest. My words weren’t magic. I certainly didn’t intimidate the man. I didn’t say anything that he, and the others, didn’t already know at some level. So what changed? I believe that it was the simple respect of talking straight and offering choice. He expected me to dance with him, somehow avoiding any intimation that he should change. That would somehow invade his “right to be me.” He challenged me to be truthful. He wouldn’t respect cowardice, nor tolerate an absurd denial that people must change. I spoke an obvious truth, which earned his respect and his ear. If only more people would make this choice. After the class, the dancing bear talked with me for awhile about his dilemma. He “got real,” and we talked through different conversations he could have with his boss about the real issue. He was a great guy—a teddy bear really (which I pretty much knew all along – despite his pretense). We parted friends, and I look forward to working with this bear of a man again. This entry was posted in Communication, Conflict, Engagement & Motivation, Relationship Management and tagged Communication, Conflict, Crucial Conversations, Training on February 26, 2013 by Michael Boyes.